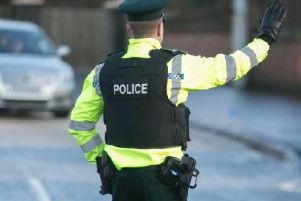 A motorist who came round a bend on the wrong side of the road was banned from driving for six months last Friday at Craigavon Magistrates Court. Dannis Dusevicius, Bluestone Hall, Craigavon, was also fined £100 and ordered to pay a £15 offender’s levy. The court heard that a collision took place on the Clanrolla Road on September 2 last year. The defendant said he had lost control of the vehicle due to the damp conditions. District Judge, Mrs Bernie Kelly, said no one could drive on the wrong side of the road especially on bends like this and pointed out there were children in the other car.